Photo Sleeve Fuse + Mat Winner! Hello, and happy Friday We R friends! 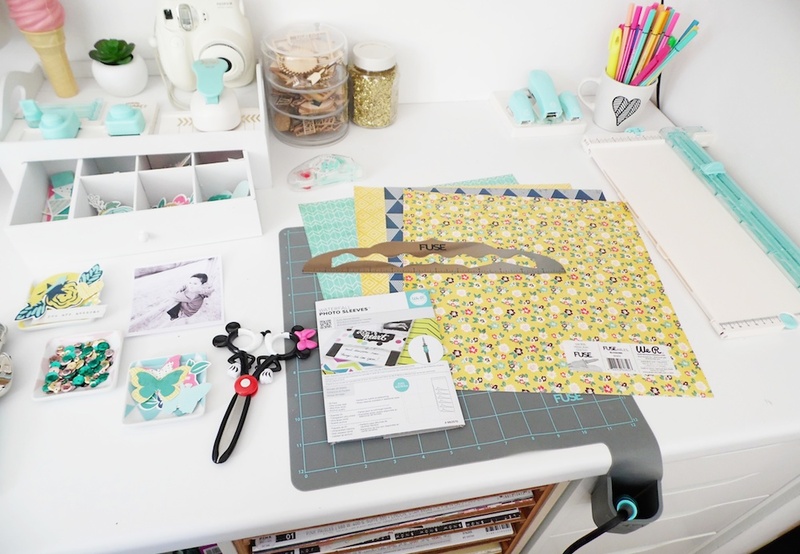 Today we’ll be announcing the winner of the Fuse + Mat giveaway down below, but first we wanted to congratulate all our National Craft Month blog giveaway winners. Here they are! Congratulations ladies! Be sure to send an email to alyd@americancrafts.com with your full name and shipping address to claim your prizes. Let me count the ways I could use this tool. 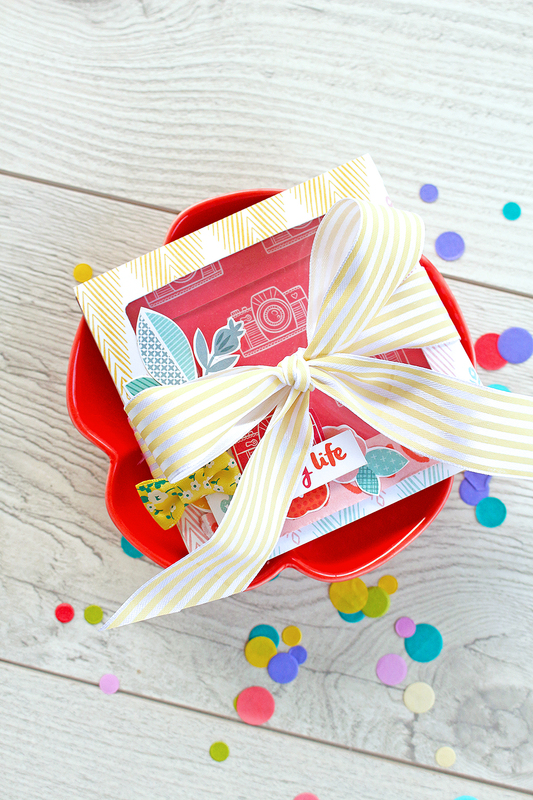 😉 Cards, gift bags with secret surprise pockets, treat bags, favors, place cards, the list is endless. Congratulations Ilene! Please send an email to alyd@americancrafts.com with “Fuse Winner” in the subject line. Please include your full name and shipping address, and we’ll get your prize to you asap. Enjoy! 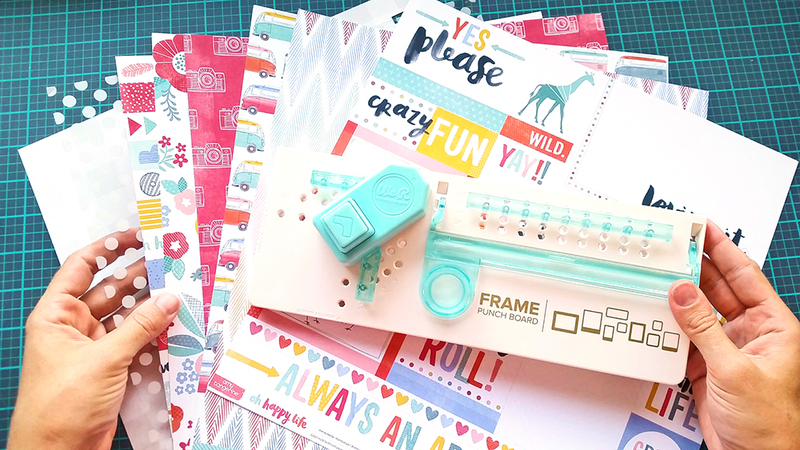 Have a great weekend friends, and we’ll see you next week with some more fabulous crafting inspiration! Hello We R Memory Keepers fans! 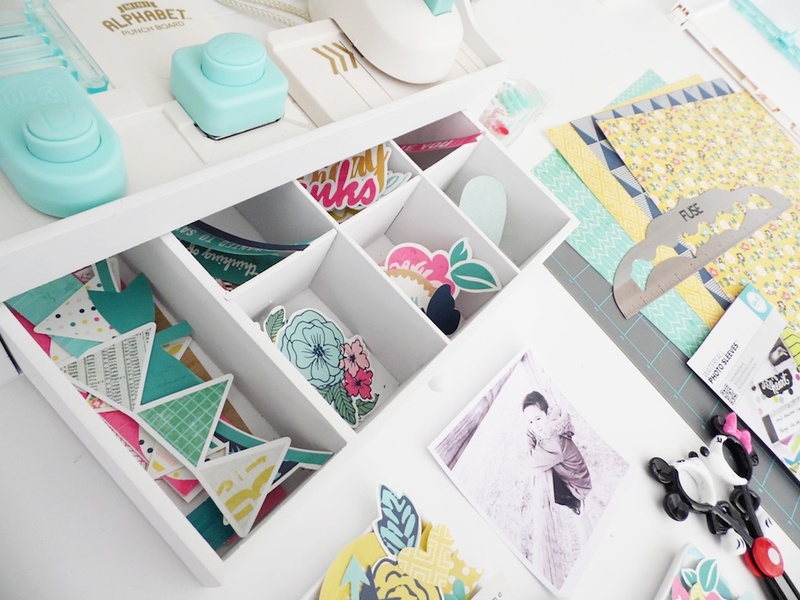 Soraya here with you today and I’m very excited to share a new project! 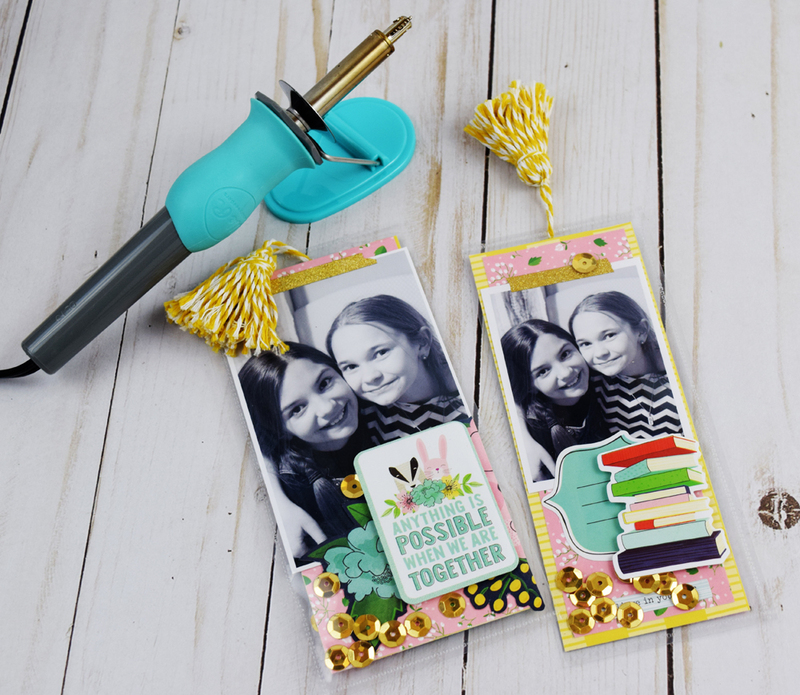 Let’s make 4 fun shaker pennants with the Photo Sleeve Fuse Tool along with the amazing Fuse Mat to embellish your layouts! 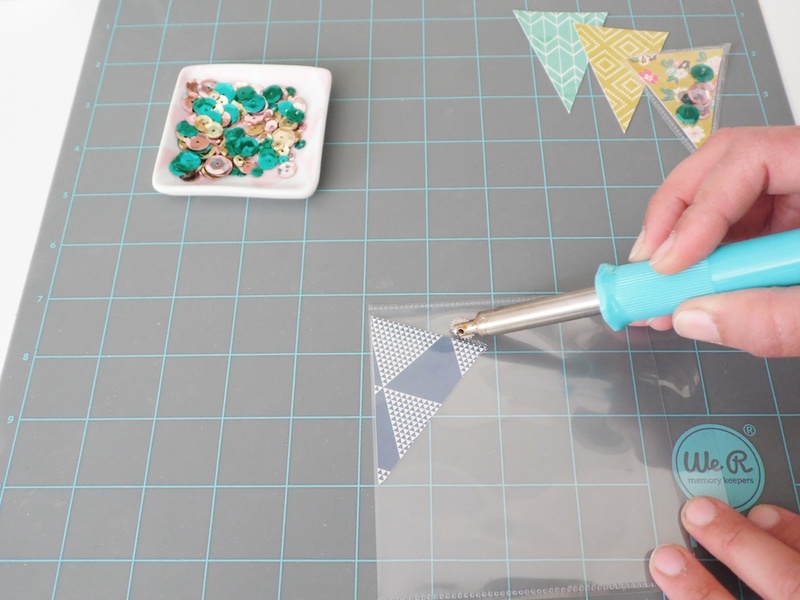 To make these fun shaky pennants you will need one or two waterfall photo sleeves (depending on how big you want your pennants to be), the Banner Punch Board, your Fuse Tool and mat, FUSEables papers and embellishments. 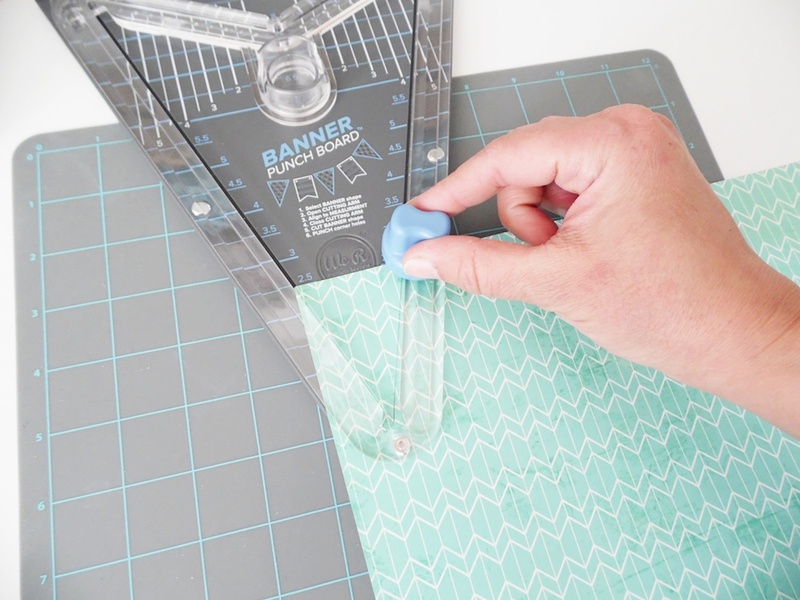 You will also need scissors and an adhesive runner. 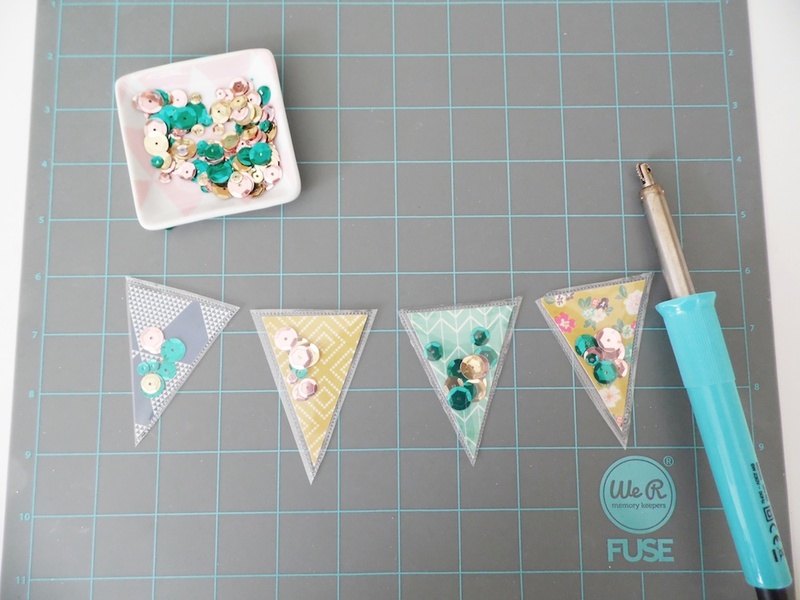 First of all, grab your Banner Punch Board and make 4 little pennants (mine are 2.5 inches) in 4 different patterned FUSEables papers. 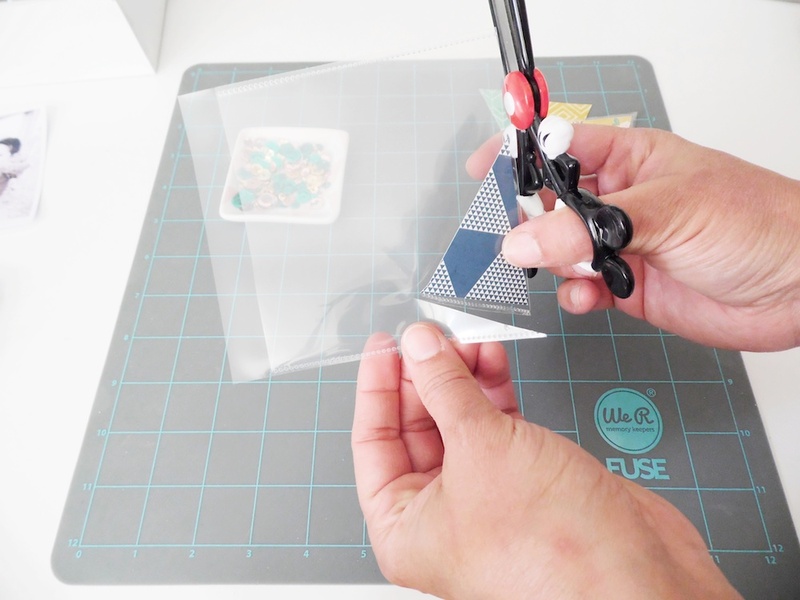 Then place one pennant in a waterfall photo sleeve, Fuse the smallest edge and use your scissors to trim all around (don’t forget to leave one inch margin to close it after). Insert some sequins inside and again use your Fuse to close the pennant. So easy! And this is what you get when you make them all! Aren’t they so cute? 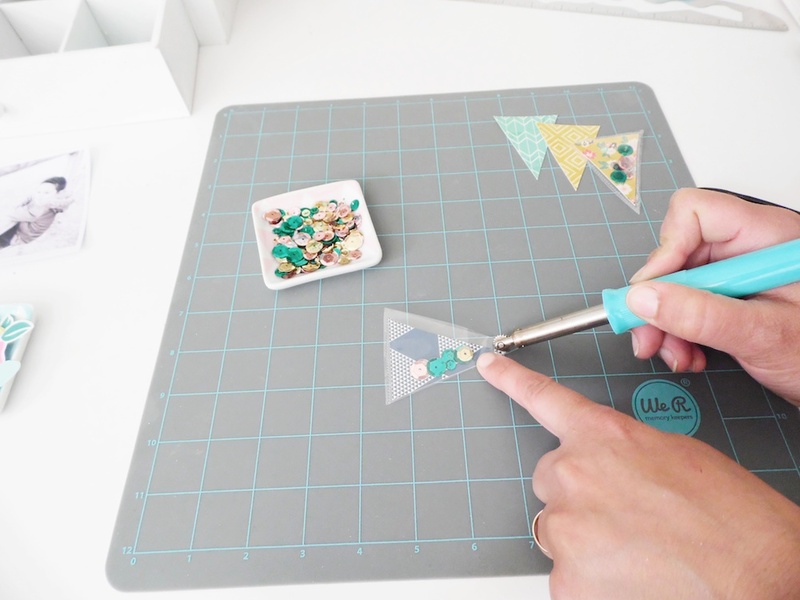 You can insert sequins, sparkles, glitter… or any little embellishment you want if you are making bigger pennants! The possibilities are endless as long as you have a Fuse to make it! 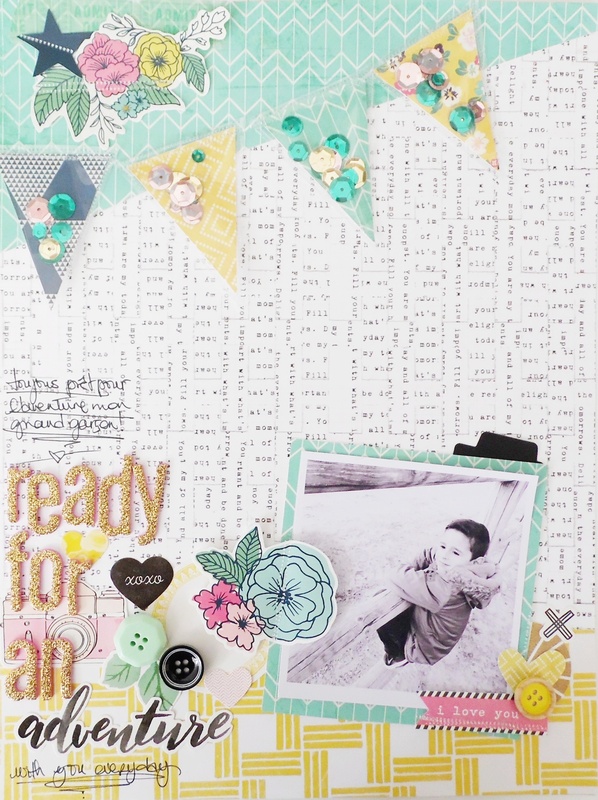 I also used my Fuse Tool to place some embellishments all around my photo and at the top of my layout as well. I just love the « stitch » effect you have with the FUSEables pieces! To place my 4 pennants on my layout, I simply added a FUSEables surface first, then I repeated the same process with the Fuse Tool to stick them on it. And here is the final result with some extra details! I hope you had fun joining me today for this new project! 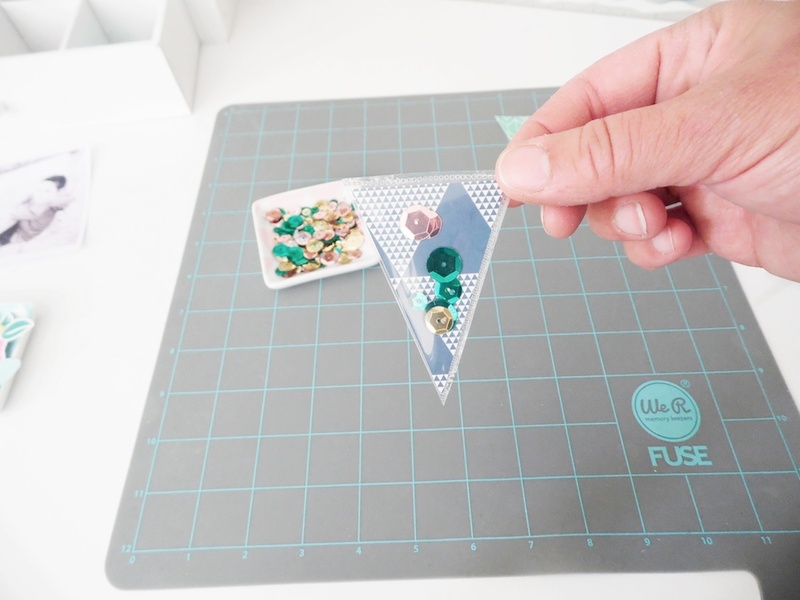 Don’t hesitate to use your Fuse Tool and some waterfall photo sleeves to create extra embellishments for your projects just like I did, it’s so much fun and easy! You will love it! Happy creating everyone and until next time ! Hey there We R Memory Keeper friends and fans, Becki here. 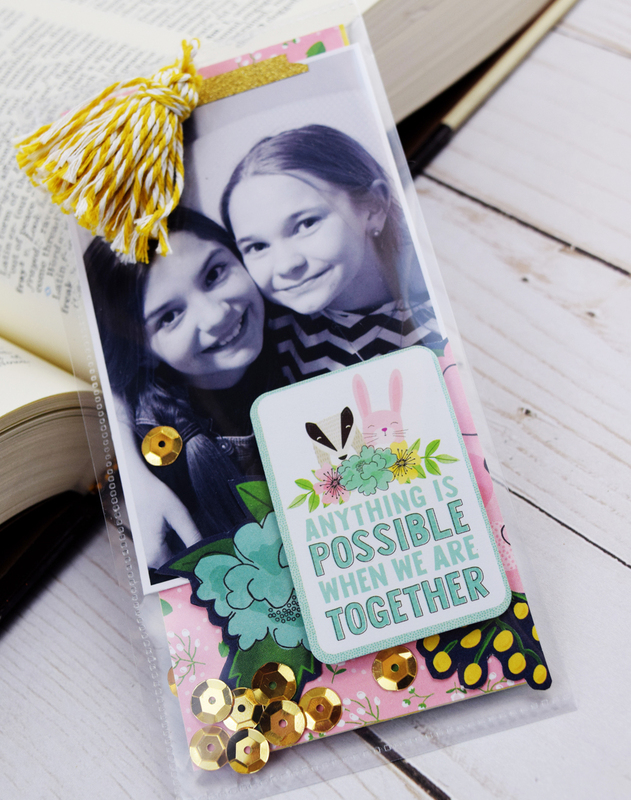 I’m so excited to share two adorable photo bookmarks with you that I created with the Photo Sleeve Fuse Tool and 4×6 waterfall sleeves. When I started creating bookmarks, I thought I was just going to use patterned paper and sequins to fill the inside. Then I noticed these adorable photos on my desk. 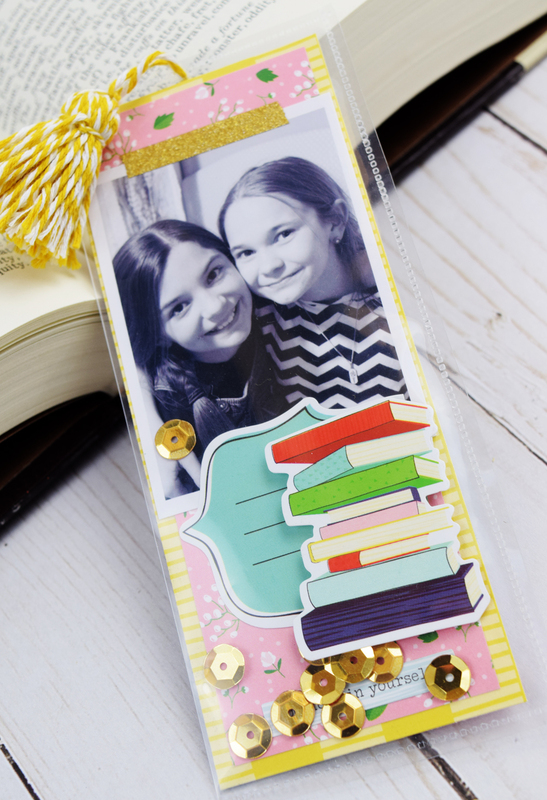 I knew they would make adorable bookmarks! 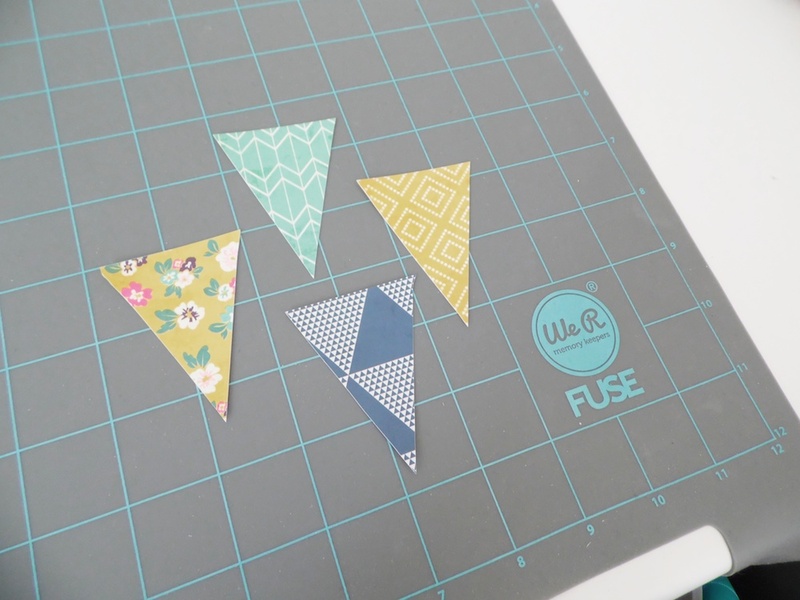 These bookmarks are SO easy to create with the Fuse tool. 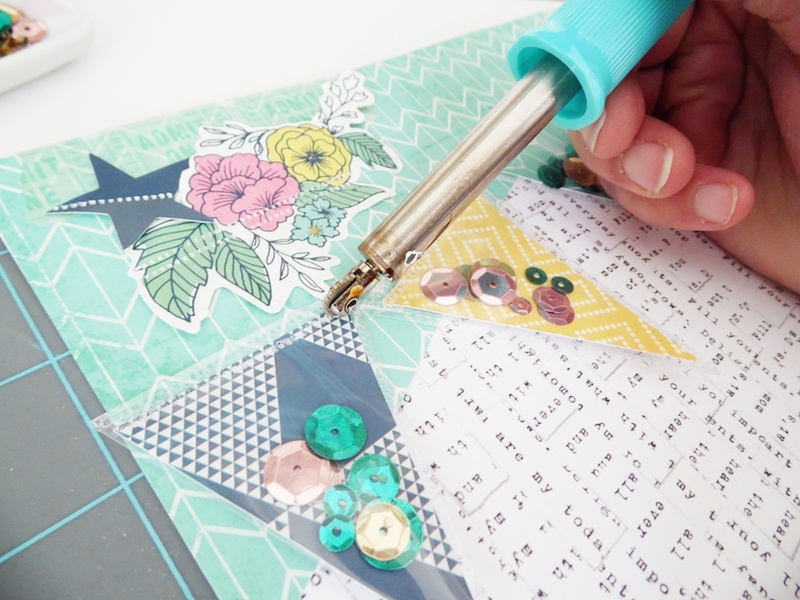 All you have to do is cut the patterned paper and photos to fit inside the bookmark, embellish the bookmarks (if desired) and add sequins. 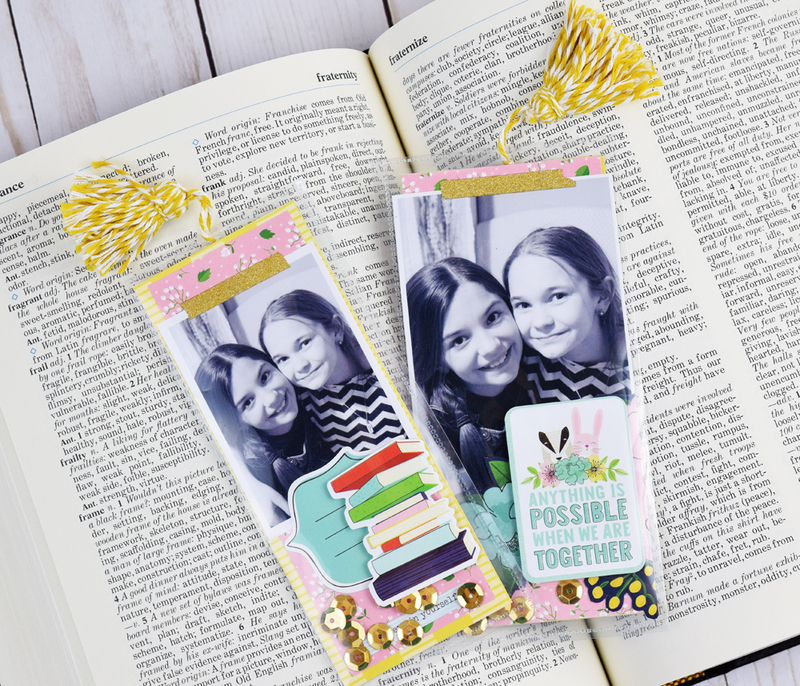 The bookmarks I created have the same photo but the embellishments are slightly different. I used the Little by Little collection by Shimelle and American Crafts. I had to use the cute stack of books sticker and the “anything is possible when we’re together” sticker. 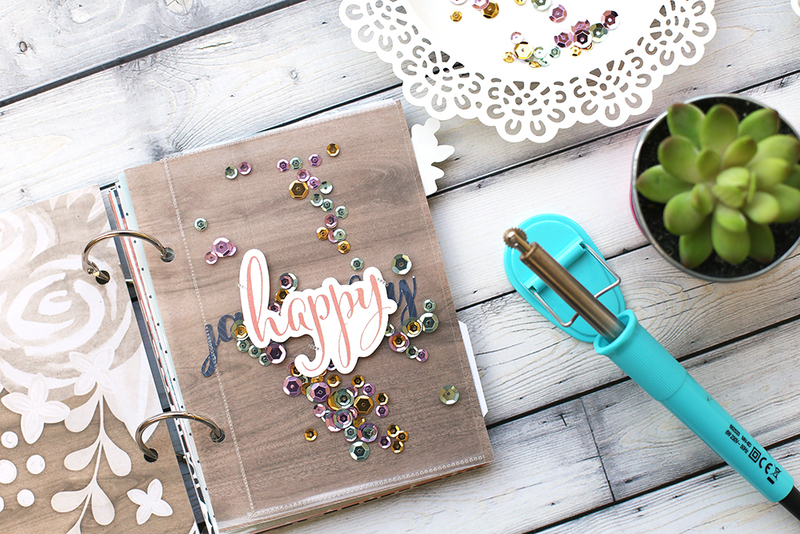 The gold sequins make these bookmarks a little bit more special. The sequins move when you shake the bookmark. I love that I could seal the sequins into the bookmark and not have to worry about them coming off or falling out. They’re sealed in tightly! I LOVE how these bookmarks turned out. I’m sure the two little girls that will be using them will love them as well. I just might have to make another one for myself. 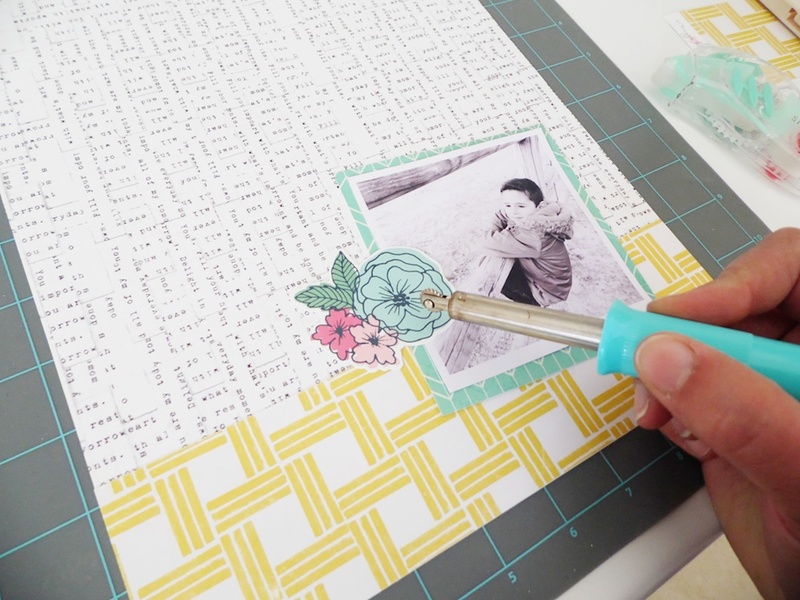 Thank you for stopping by the We R Memory Keepers blog, happy crafting! Hello everyone! It’s Eva here showing you a mini album I made with the Photo Sleeve Fuse Tool that’s perfect for documenting this year. This year my goal is to document my daily life, because I know how easy it is get caught up with things to do and leave my project half done. So, I have prepared a small mini album with sleeves and all I have to do every month is print pictures and write my journaling. For this project I am using the 4×6 waterfall sleeves, a Jen Hadfield DIY Home FUSEables Card kit and some paper from the same collection. 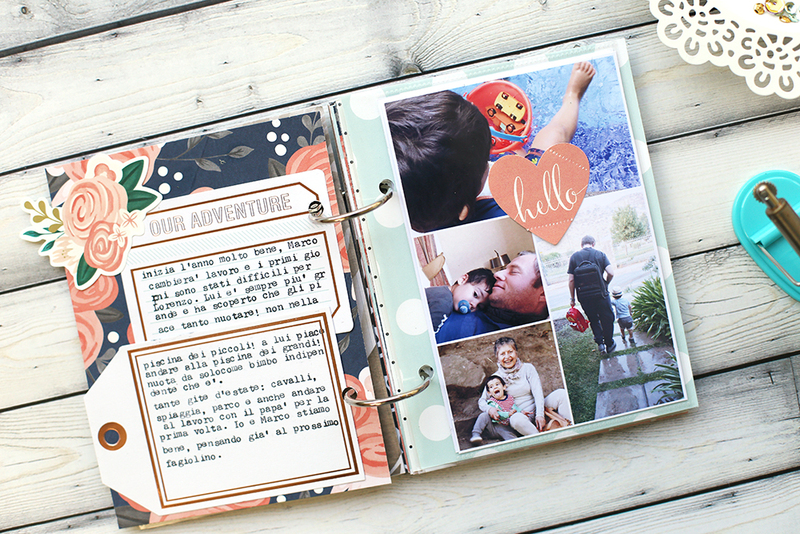 I bound everything together with rings to be able to add pages easily. 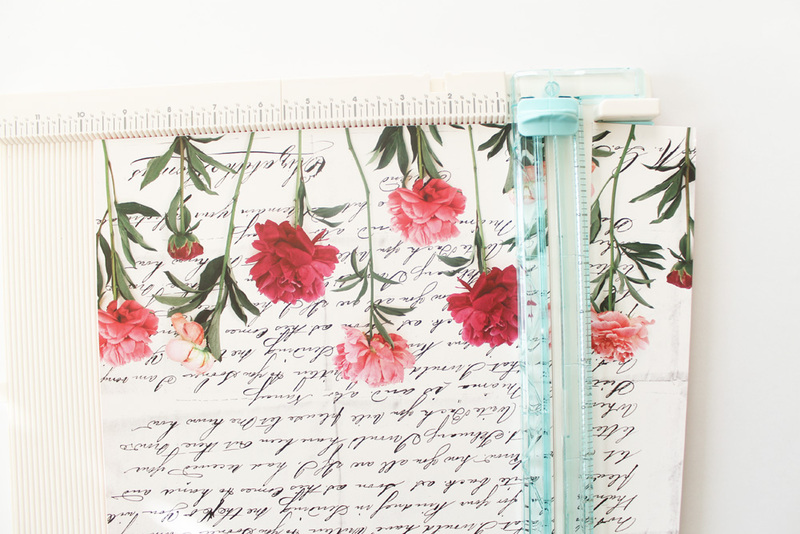 I used the photo sleeves to create shaker pages. 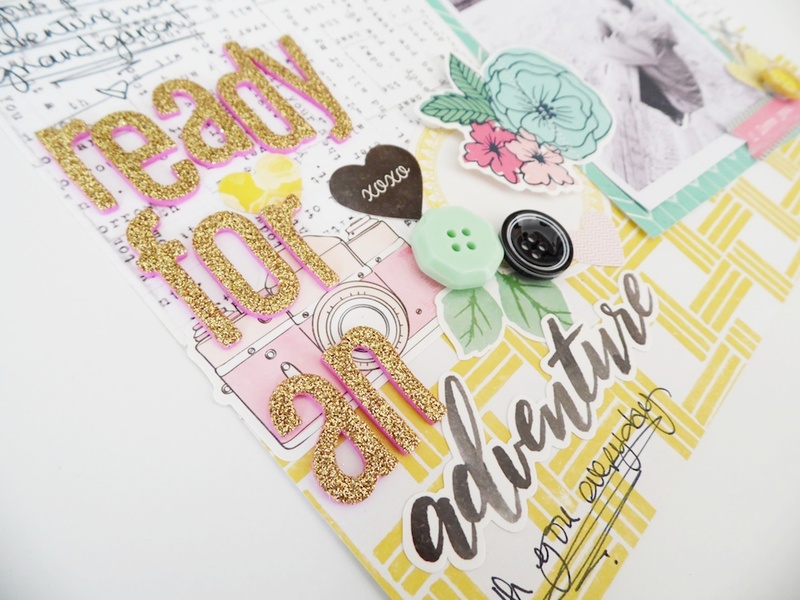 The kit includes the sequins so everything coordinates perfectly! To decorate the sleeves I added a few Fuseables die cuts–no glue needed! Just run your Fuse over them and you are done! For each month I printed two 4×6 photo collages. 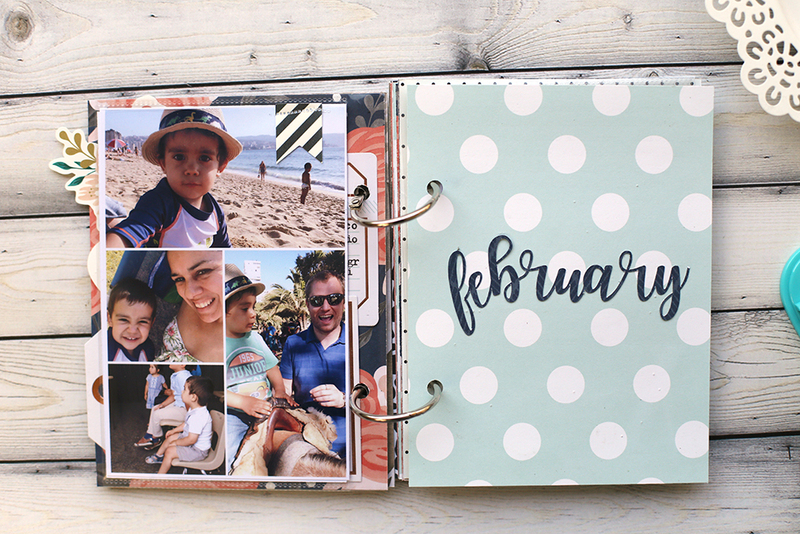 If you did lots of things during that month you can add more pages! 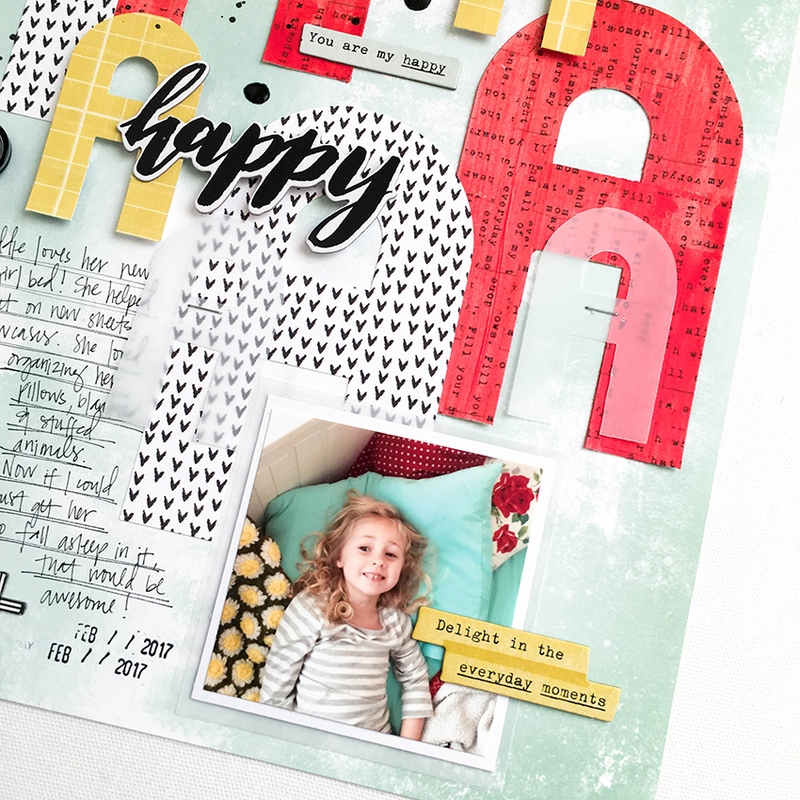 Add embellishments over your photos with more Fuseables die cuts and add your journaling with your Typecast and some tags. For each month I did a cover with the name of the month. 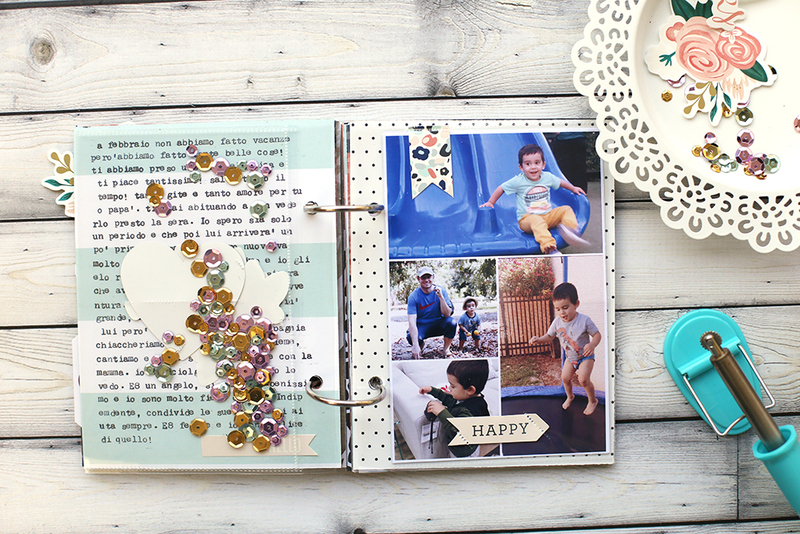 If you have lots of pages for each month you could add tabs with your Tab Punch Board! 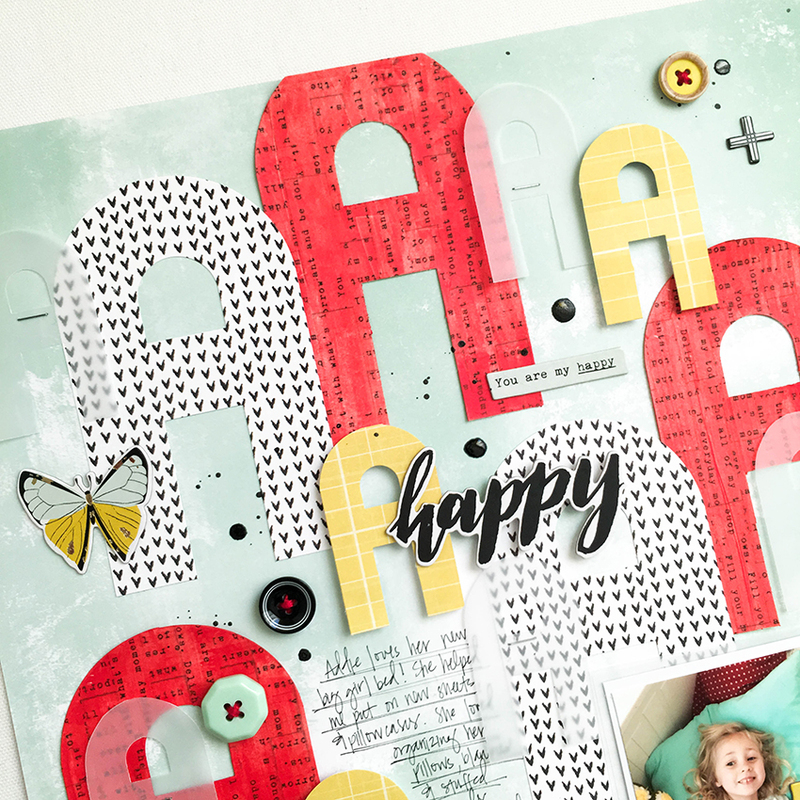 Another way to add journaling is to run your entire page through your Typecast typewriter. I love this look! Here you have two more pages from last month. This mini is very simple but I am sure it’s going to be a fantastic reminder of all the experiences we lived through the year! I think I can complete this simple project! Do you want to join me and make one too? 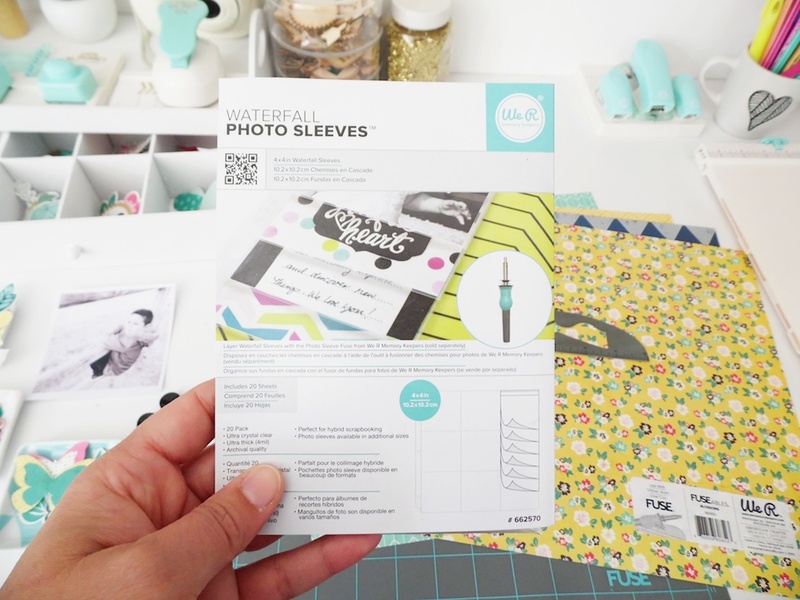 National Craft Month Giveaway: Photo Sleeve Fuse + Mat! Hello friends! 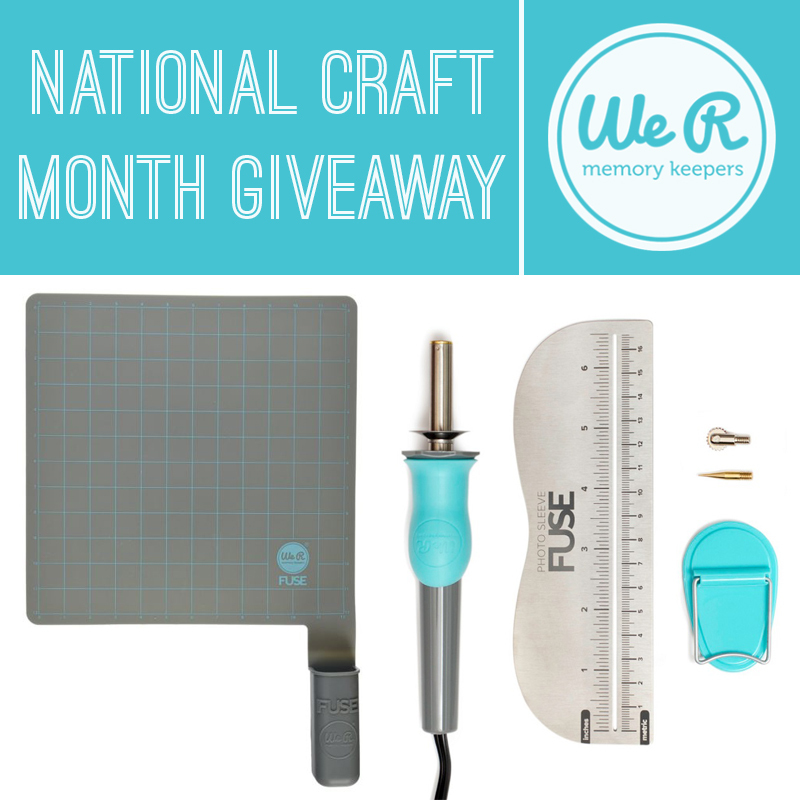 It’s the last week of National Craft Month, and this is our last giveaway. 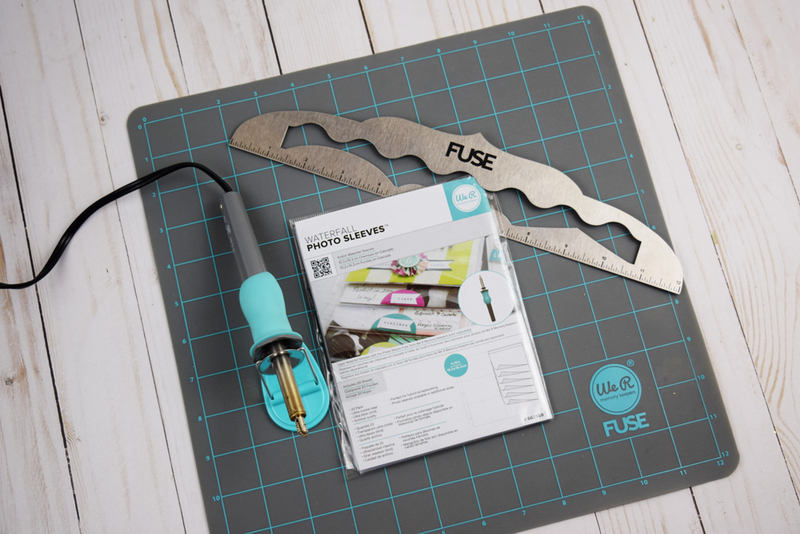 This week we’re featuring one of our most popular tools, the Photo Sleeve Fuse! 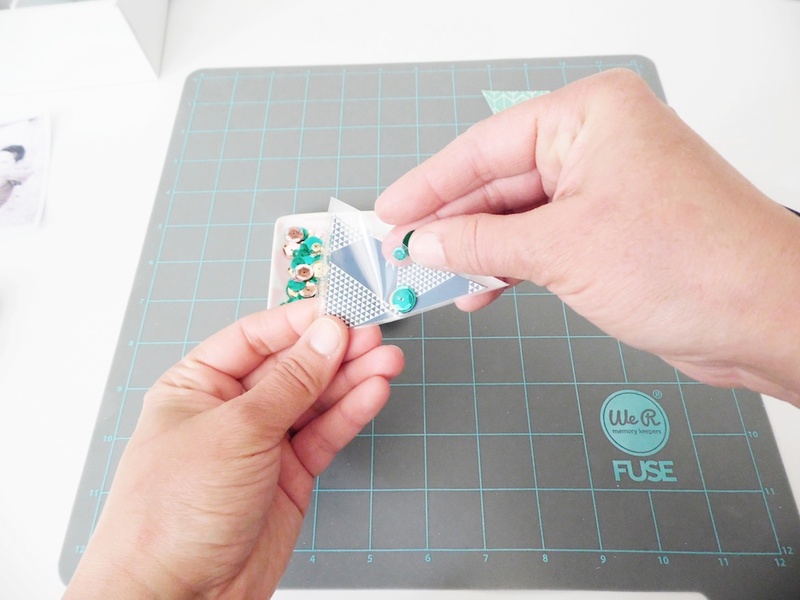 With the Photo Sleeve Fuse you can create custom pockets in your photo sleeves, add shaker pockets to your paper craft projects, or adhere our FUSEables plastic papers and embellishments together. 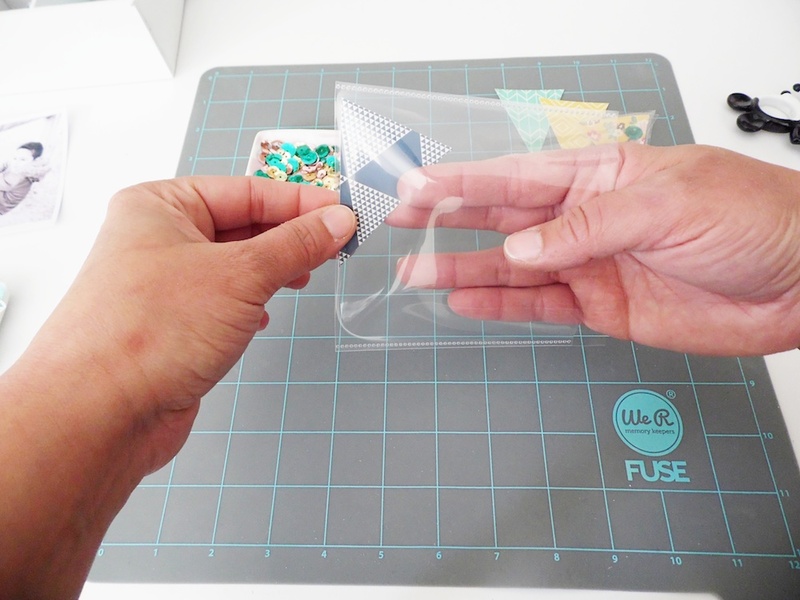 If you’d like a chance to win a Photo Sleeve Fuse and a Heat Resistant Mat, please leave a comment telling us how you would use this amazing tool. Comments will remain open until Thursday, March 31 at midnight. A random winner will be announced on Friday morning. Be sure to come back and see if you’ve won. Good luck! Come back and catch some amazing Fuse inspiration from our design team members throughout the week. I love all my WRMK products. This really would be a great addition to my collection. Perfect board to travel with me. Congratulations Andrea! 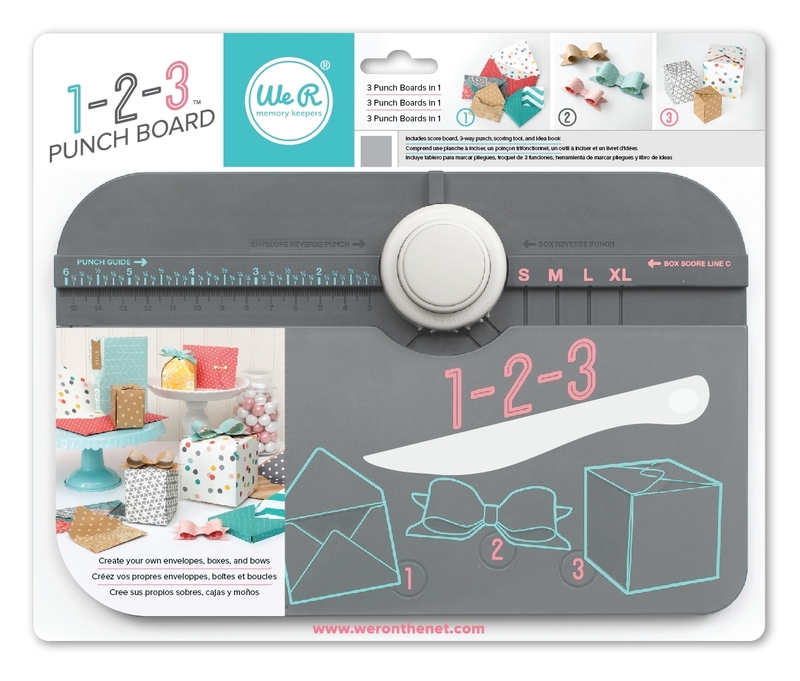 Please send an email to alyd@americancrafts.com with “123 Punch Board Winner” in the subject line. Please include your full name and shipping address, and we’ll get your prize to you asap. Enjoy! Hi We R fans! 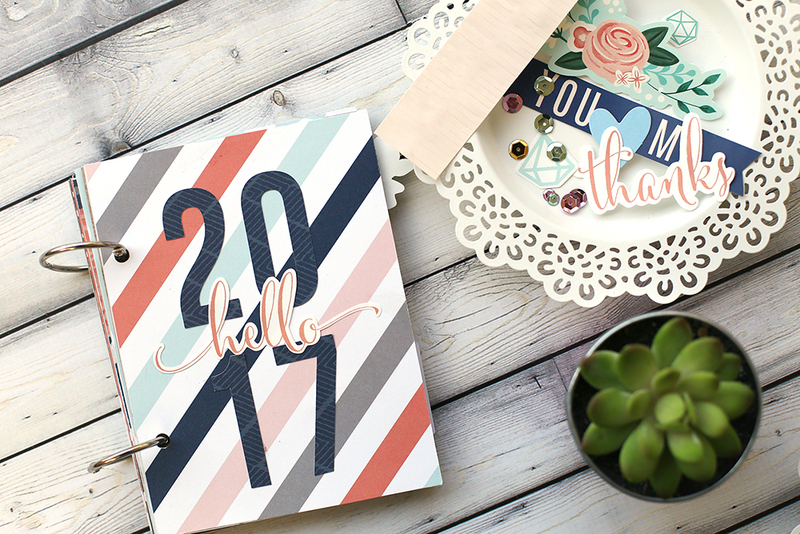 Chantalle here, wishing you a warm welcome back to the blog today. I would love to show you a super quick idea that can make for a great gift or just to highlight a special memory in your home or workspace. 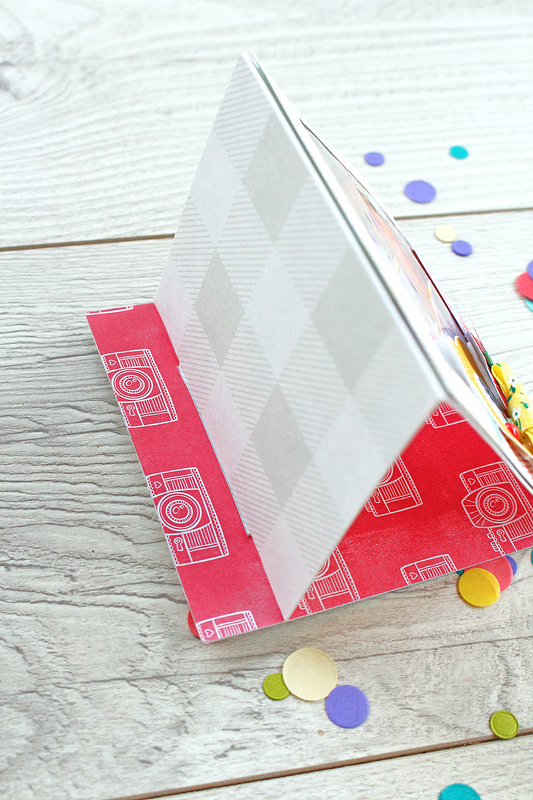 This pop-up frame card uses just a few supplies in conjunction with the awesome Frame and Tab Punch Boards. 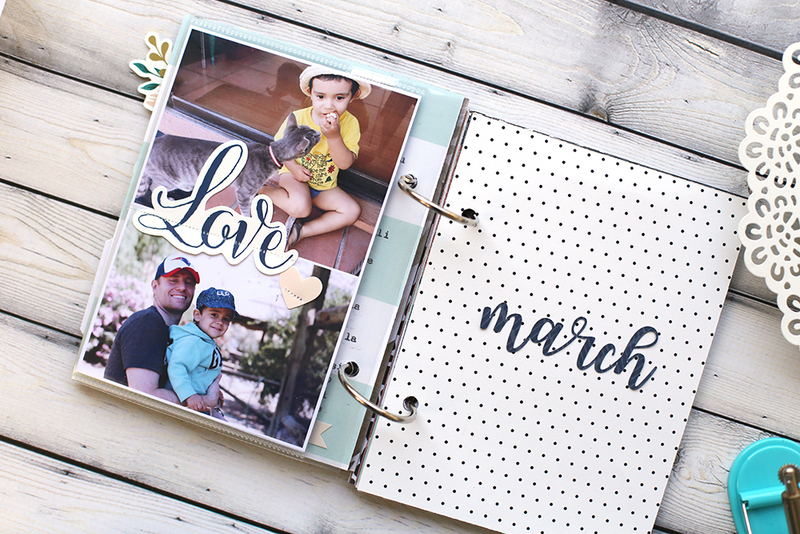 A simple 4×12 gate fold design, opens and slots in to itself to convert into a super cute 4×4 frame. 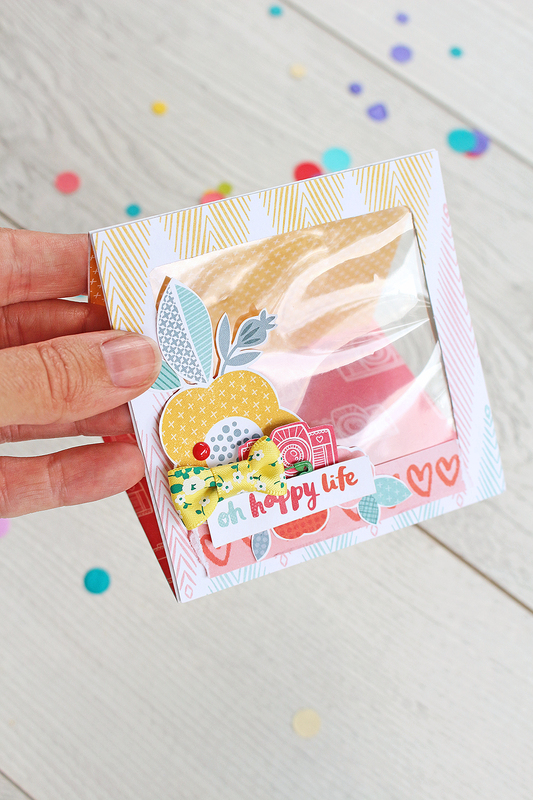 I have used some pretty (and sturdy) Bazzill Marshmallow Plaid cardstock for my base design and embellished with some vibrant Amy Tangerine ‘Oh Happy Life’. The fun capture of my DS driving us around in a golf cart was perfect for this collection! Once again, I started out by gathering the bits and pieces I thought I would use to create the frame card. I initially thought to use some text inside some dotted acetate with perhaps some sequins or glitter behind it, but then changed my mind, swapping the idea for a clear photo frame concept. I first experimented with the design on some scrap copy paper to see how it could work. I then adjusted it so it would work with a sheet of 12×12 paper. I cut a strip of the Bazzill Plaid measuring 4 inches across and 12 inches long. I then scored it at 4 inch intervals. NB: The last third would have to have a tab of some sort in order to sit up properly, so I used my Tab Punch Board on this last third to create the tab that I needed. 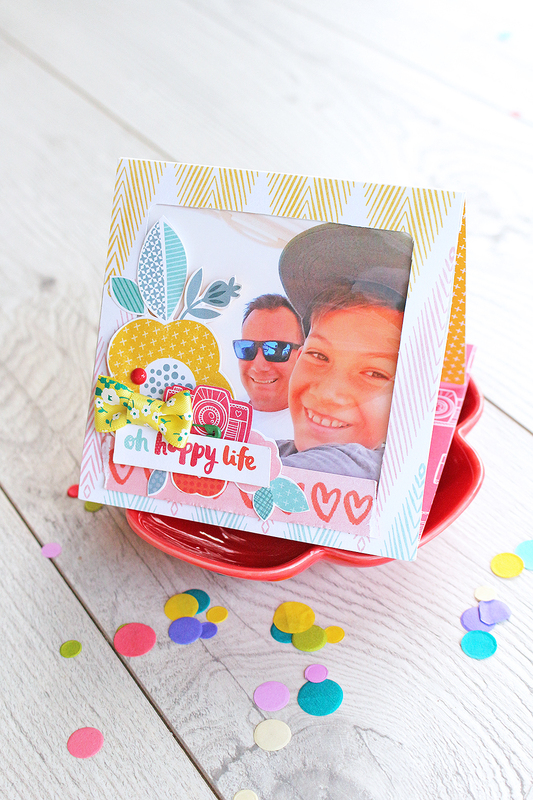 To give the card a good pop of colour, I have kept the outside quite simple and covered the inside with some fun camera print from a sheet of Oh Happy Life, ‘Out and About’ as well as ‘Enjoy The Ride’. Next, I created a 4×4 inch frame using my Frame Punch Board. This is going to be visible from the outside and will serve as the focal point for the photo. 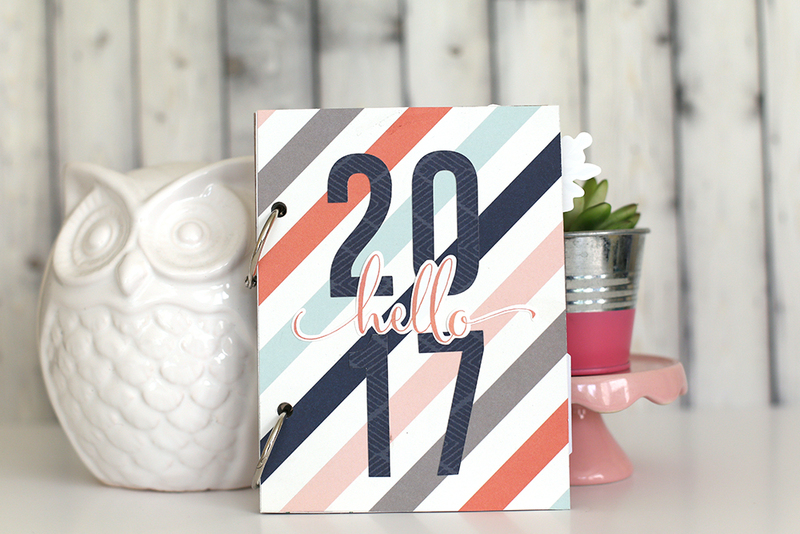 I really liked the clean zig zag print of ‘Night Owl’. I placed this frame over the middle third of my 4×12 strip and, using the window of the frame as a guide, I cut out the area behind the frame window. This now allowed me to use the area as photo frame. I needed a display area which would hold my photo, so I used my Fuse Tool to seal off the one open side of a 4×4 Fuse Waterfall Sleeve which I trimmed down slightly so it would fit comfortably under the frame shape. 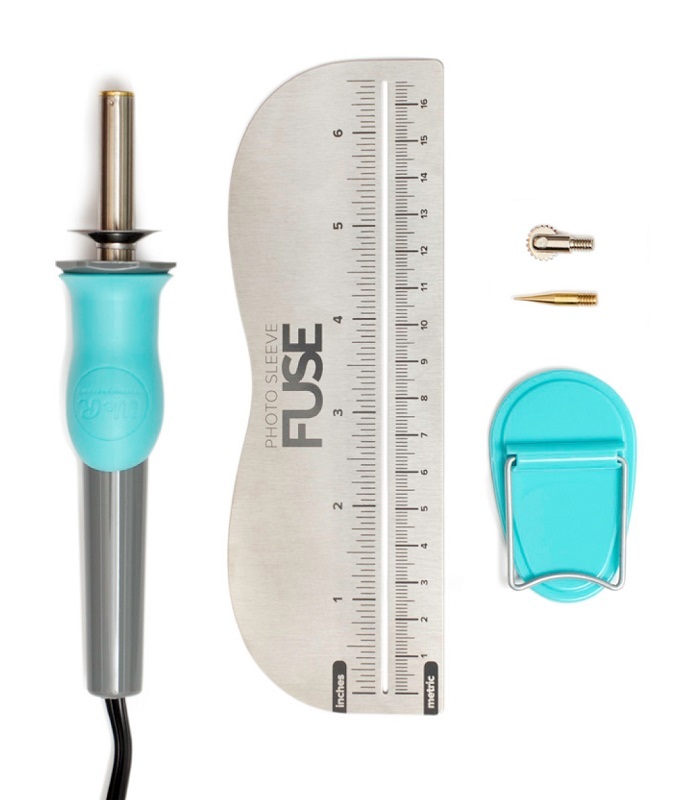 I know I have said this before, but if you use your Fuse Tool regularly (or even not-so-regularly!) 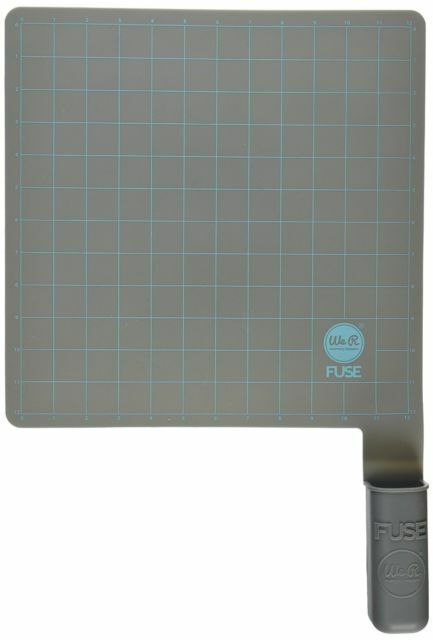 I LOVE my Fuse Mat. It really makes a difference to my ‘fusing experiece’, lol. That, and allowing my Fuse Tool to properly heat up a good 10 minutes before using! I adhered this sleeve on top of the Plaid paper, but below the frame shape. 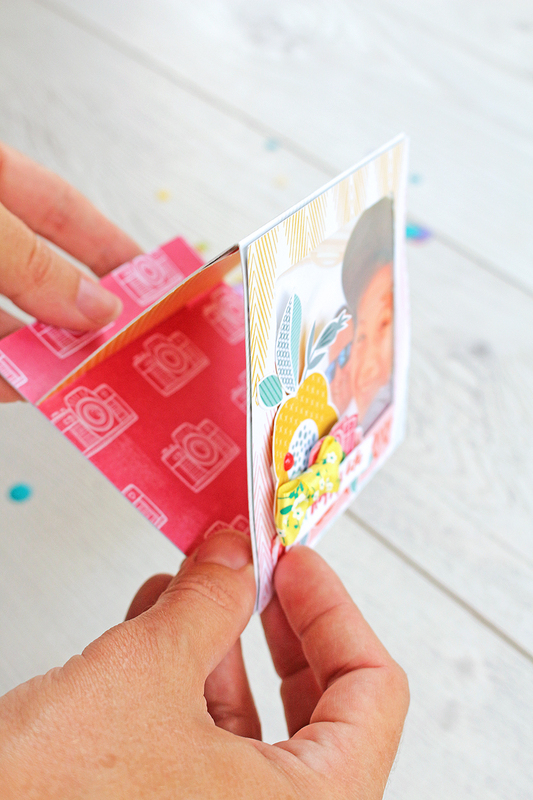 My photo can now slide inside it’s sleeve and is easily interchangeable. In addition to the frame shape, I have also embellished with some hand-cut florals from a sheet of ‘Good Morning’ and some other bits and pieces. 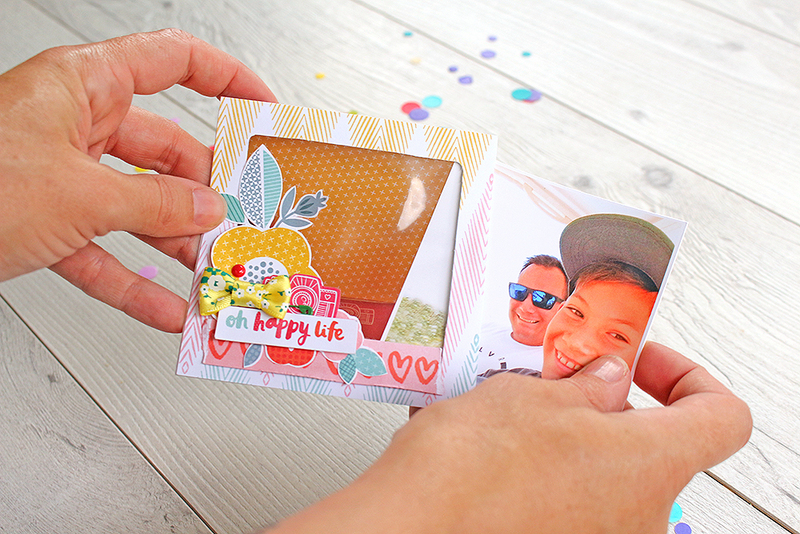 As mentioned above, I covered the inside of my frame card with some bright ‘Oh Happy Life’ papers. For continuity, I thought it looked a lot better to continue with the pattern paper all the way and not just stop at the tab, so I created a tab shape in a piece of ‘Enjoy The Ride’ and glued the pieces back-to-back. I will be using this frame in my creative space but I could just as easily add some text inside, fold it up and pop some ribbon on it to make a little gift. Thank you so much for joining me today! I hope you will give this idea a try. Wishing you lots of happy creating! Hello, We R readers, Laura here today. I don’t know about you, but I love to send out happy mail. Sometimes I buy cards, but I really do love to make cards. I think it is an extra thoughtful way to let someone know you are thinking of them. I try to keep a stash of both handmade and pre-bought cards on hand so I can easily send them out as needed. 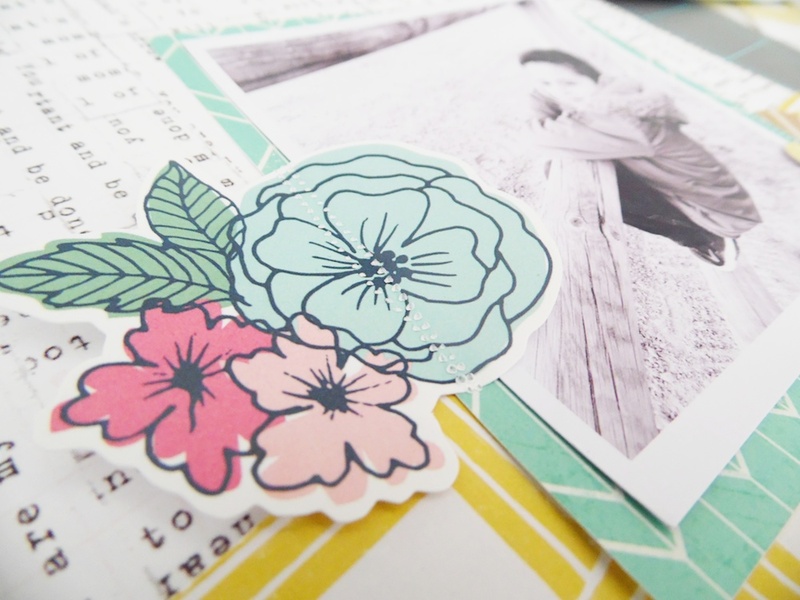 I found a beautiful sentiment on a Moonstruck cardstock that I thought would be perfect to make an encouragement card. 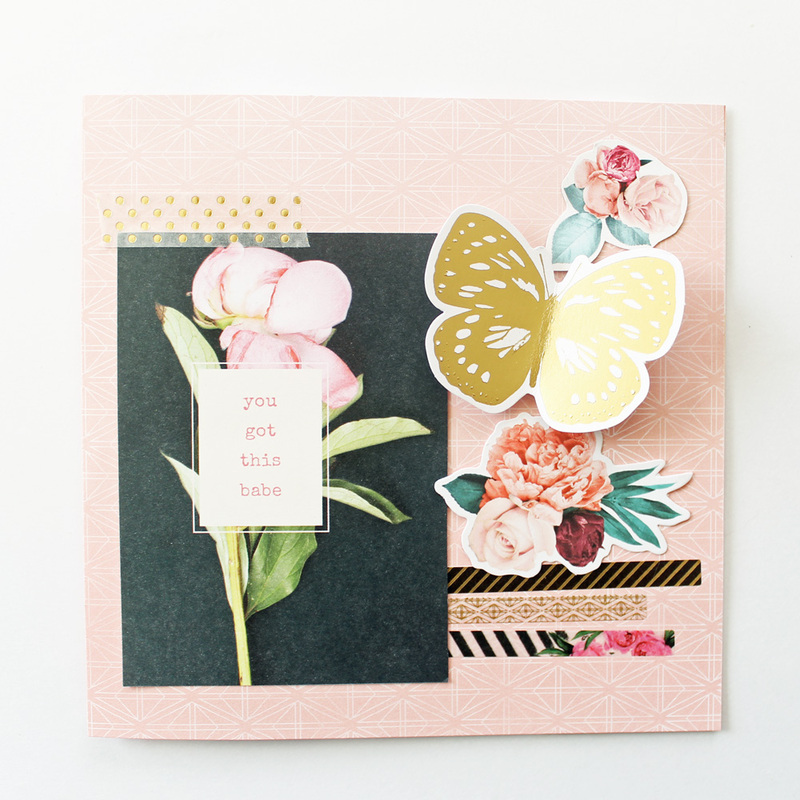 I started by creating my card base by using the Moonstruck cardstock from Pink Paislee. 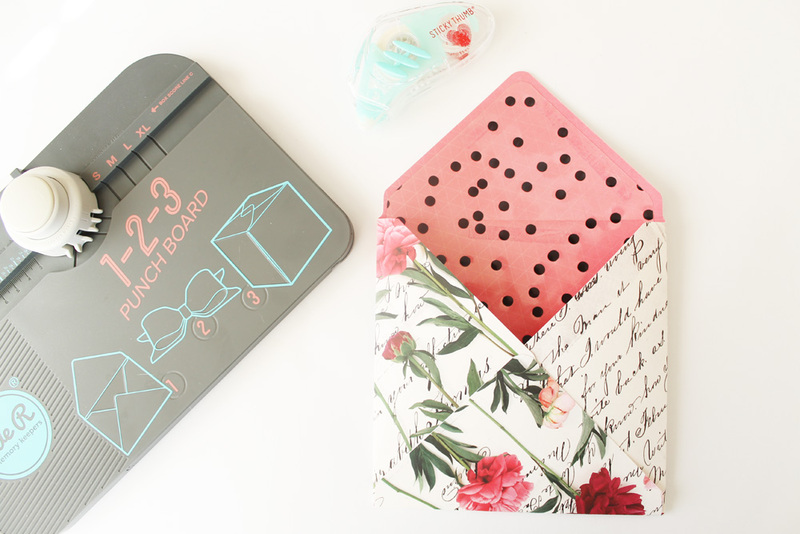 It has a pretty pink and white pattern on the outside and muted watercolor hearts on the inside. I cut my paper and scored it to make a 6 inch by 6 inch card. I started by adding some washi strips to the bottom of the card. 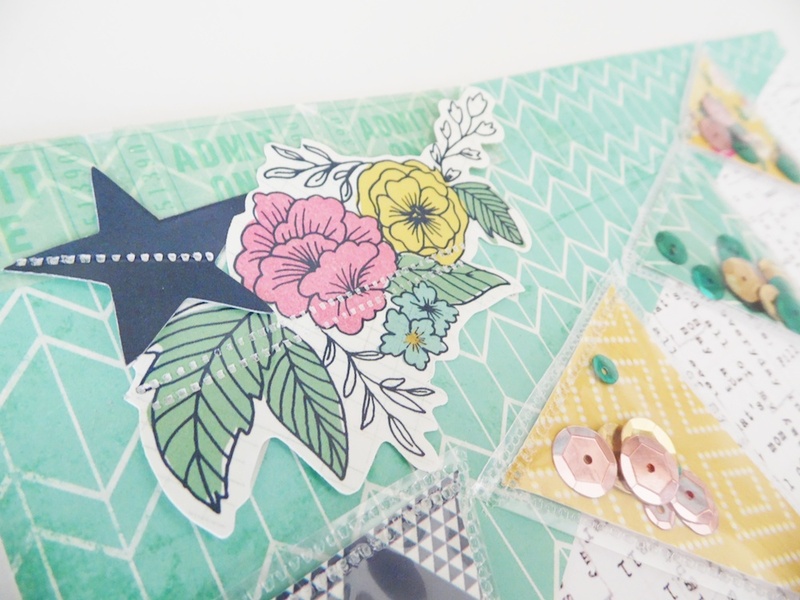 Then, I added the lovely sentiment from the Moonstruck paper. It says, “you got this babe”. 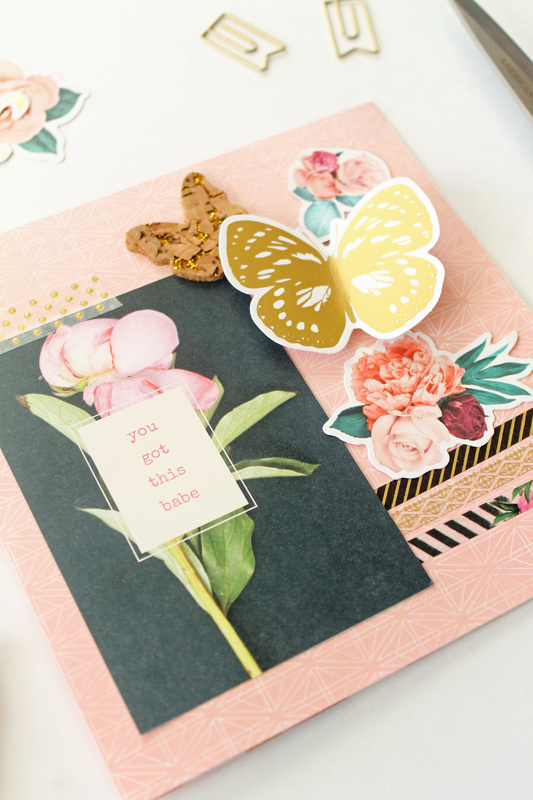 I also added some ephemera from the Moonstruck collection, a flower cut out from Moonstruck cardstock, and a cork butterfly. Everything was attached using my sticky thumb adhesive. 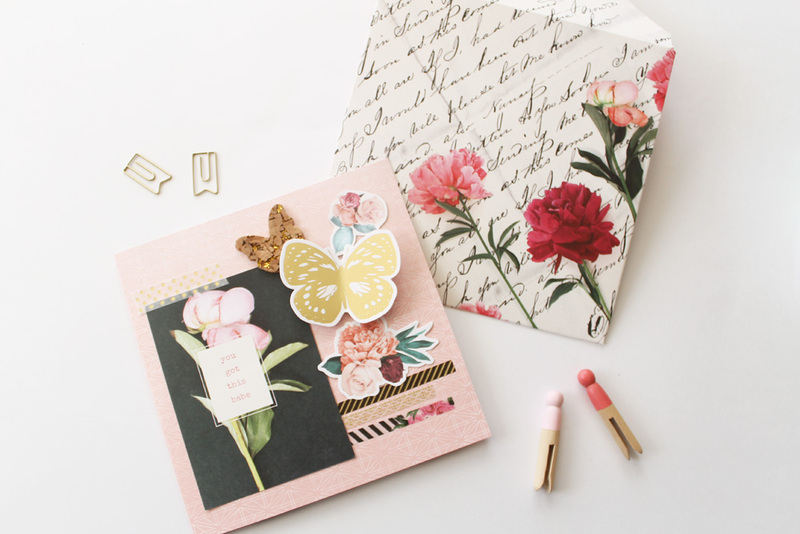 The gold butterfly was added using foam squares to help it pop off the page. The only problem with creating cards at home, especially uncommon shaped cards like this square one, is that I don’t always have an envelope on hand to go with it. 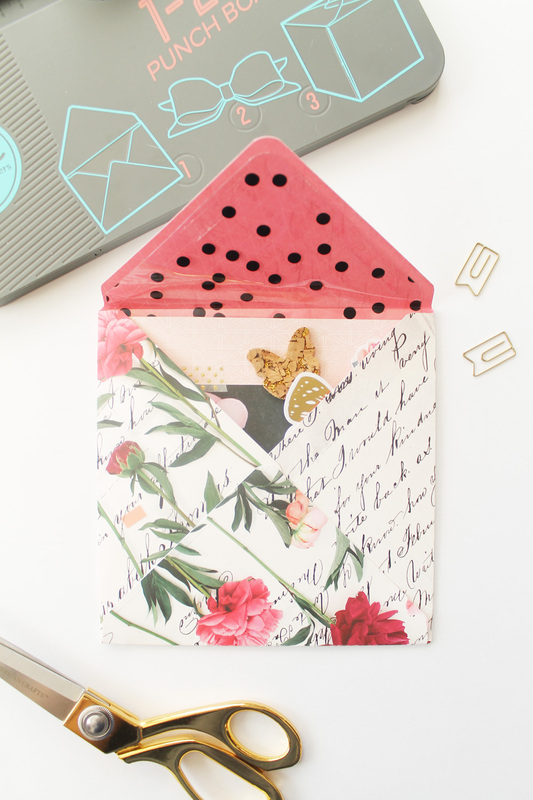 I love to use my 123 Punch Board to create envelopes. They are so easy to make. Since my card was 6” x 6” square, I started by cutting my paper to 9 ¾” square. I lined it up on the guide on the punch board, punched it, and scored along the score line A. Continue by rotating the paper 90 degrees, lining up along the score guide, punching and scoring as you go. 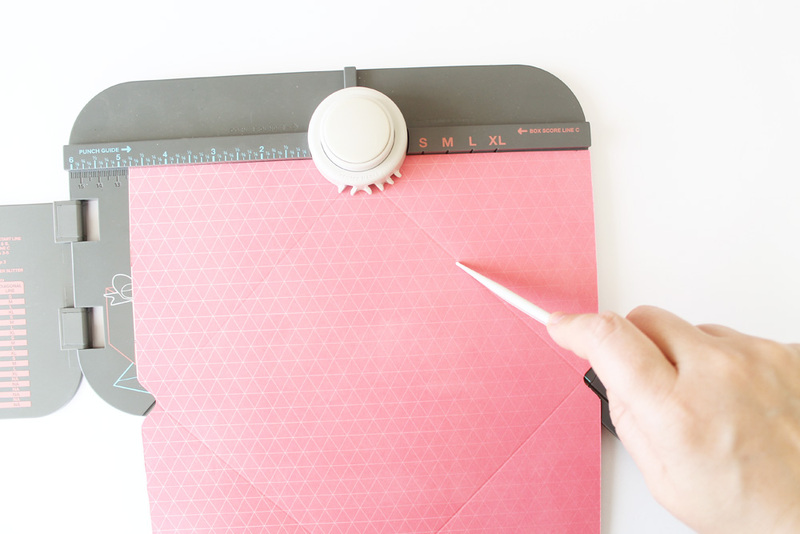 I like to round the corners of my envelope and this is easy to do with the punch board. 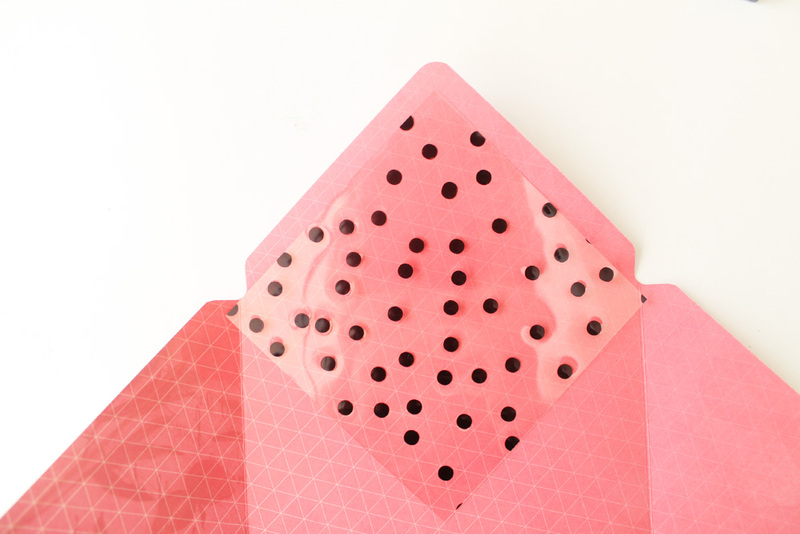 The inside of my envelope was a little plain, so I added a liner using a black polka dot acetate sheet from the Clearly Posh collection. 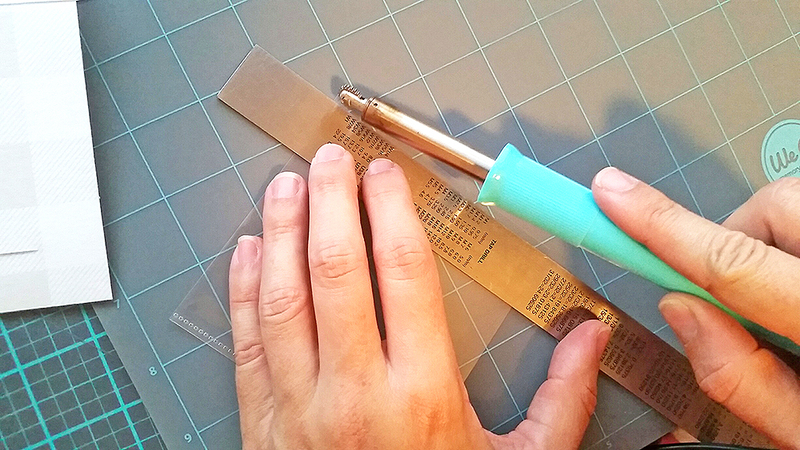 I measured the length of the top part of one flap of the envelope and cut a square from my acetate that size. Then, using the punch board as a guide, I created notches on either side of the square to line up with the flap on the envelope. 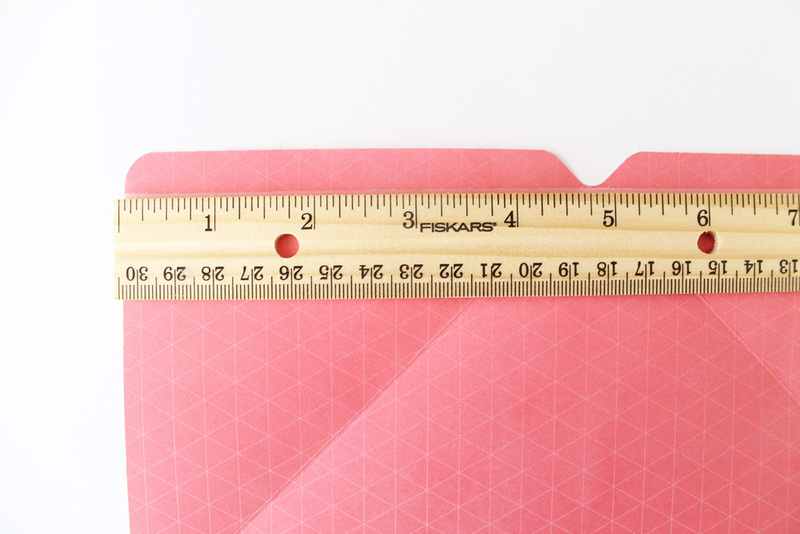 Simply align your paper up with the size of your square and move it over ⅛ of an inch. I also rounded off the top edge of the liner square. I attached it using my sticky thumb adhesive. You will need to score the fold to allow the plastic paper to fold. Now, my card is ready to mail out to a friend or family member that needs a little push in the right direction! 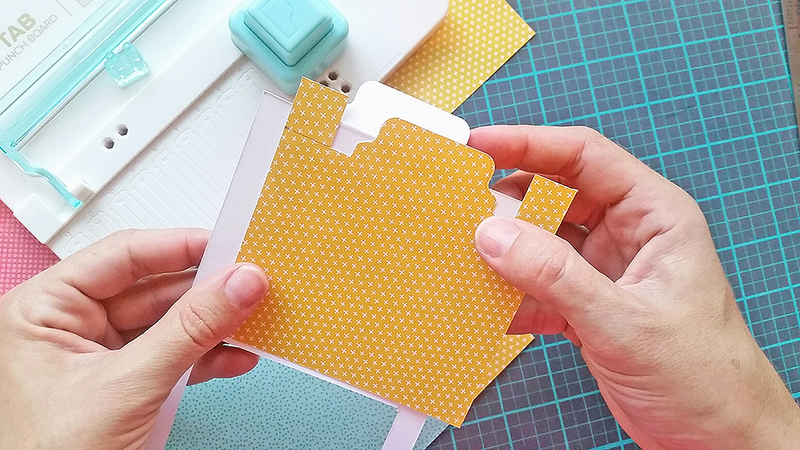 Do you like to make handmade cards? 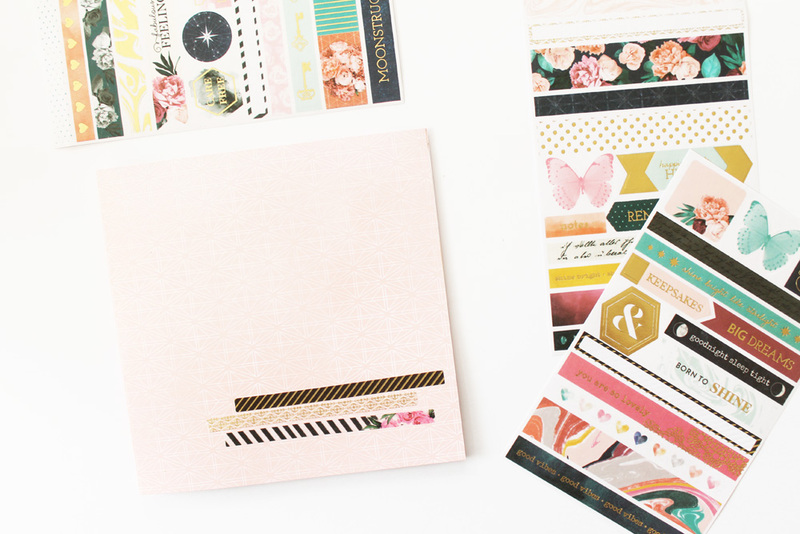 First, I pulled a few patterned papers from the Maggie Holmes Catching Dreams collection. Following the easy instructions that come with the punch boards, I made several A’s. After punching the large text A’s, I used acrylic paint to color them. Once they were dry, I added them to my layout background. I used Sticky Thumb foam adhesives to pop up the mini A’s. I also punched several A’s out of vellum using the Mini Alphabet Punch Board. Once arranged on my page, I used the Staple Board to attach the A’s. I love being able to staple anywhere on a 12×12 layout! I see myself using this monogram technique on future pages! It’s a great way to add a lot of pattern and color, and monograms are classic design elements. What letter will you punch? Happy creating! 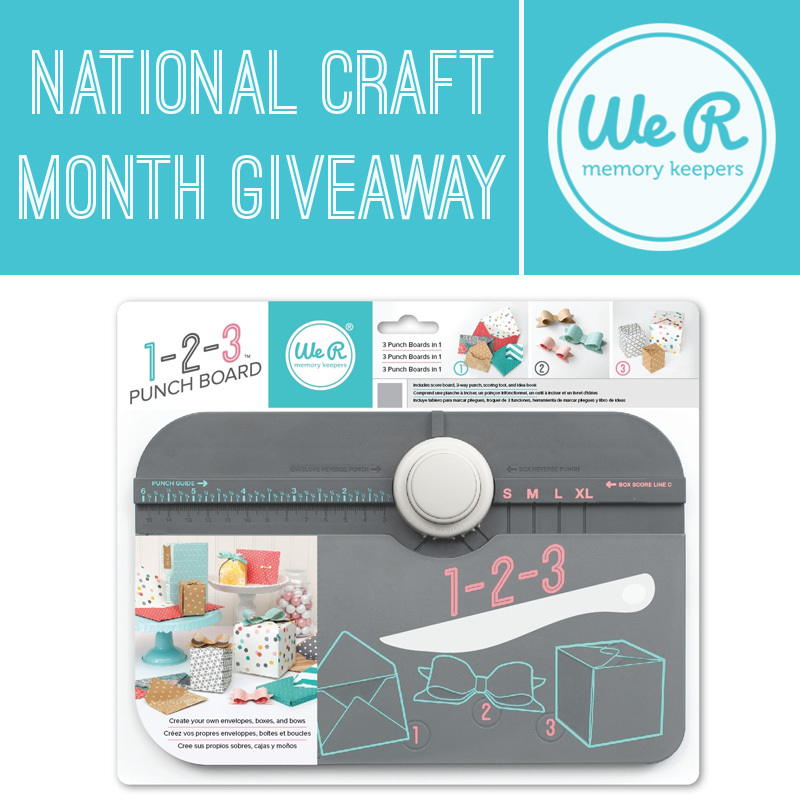 National Craft Month Giveaway: 123 Punch Board! Hello again We R friends! 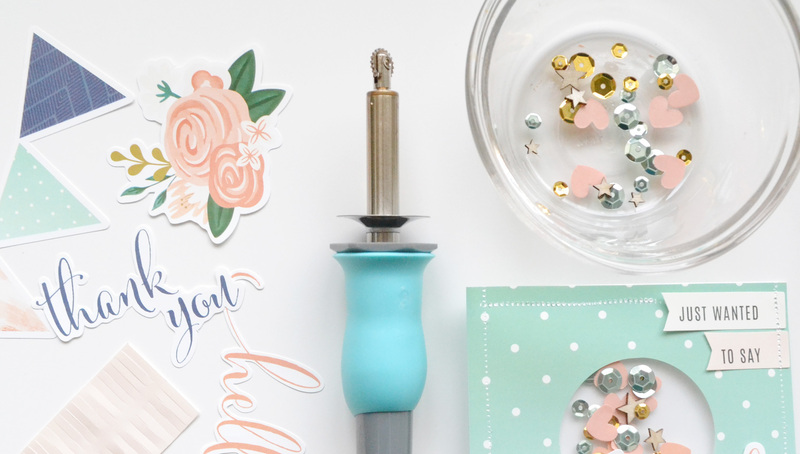 It’s Monday, and it’s March, and that means another National Craft Month giveaway today! 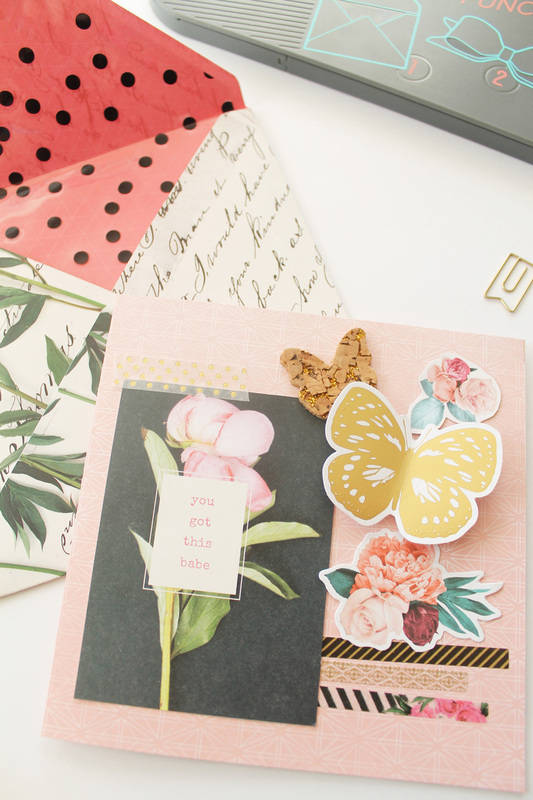 This week we’re celebrating our most popular line of tools, our Punch Boards. 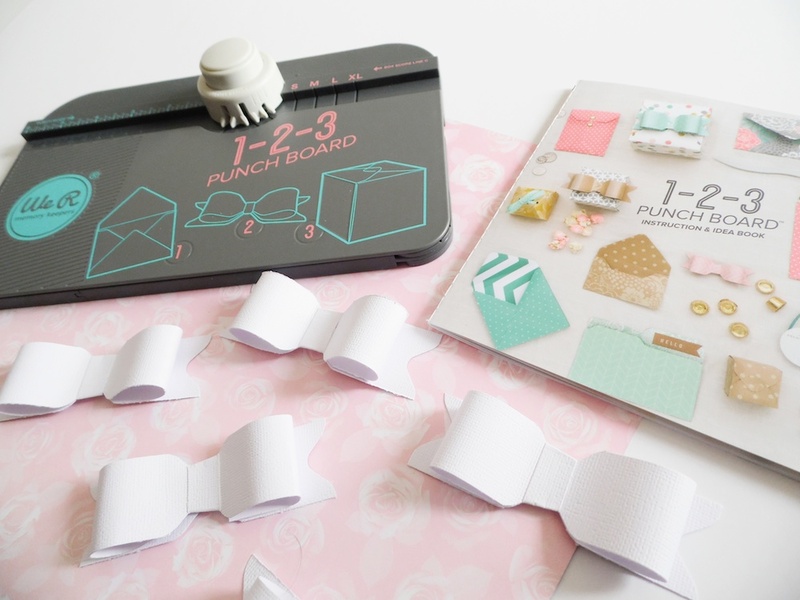 And today we’re so excited to be giving away one of our most popular punch boards, the 123 Punch Board! 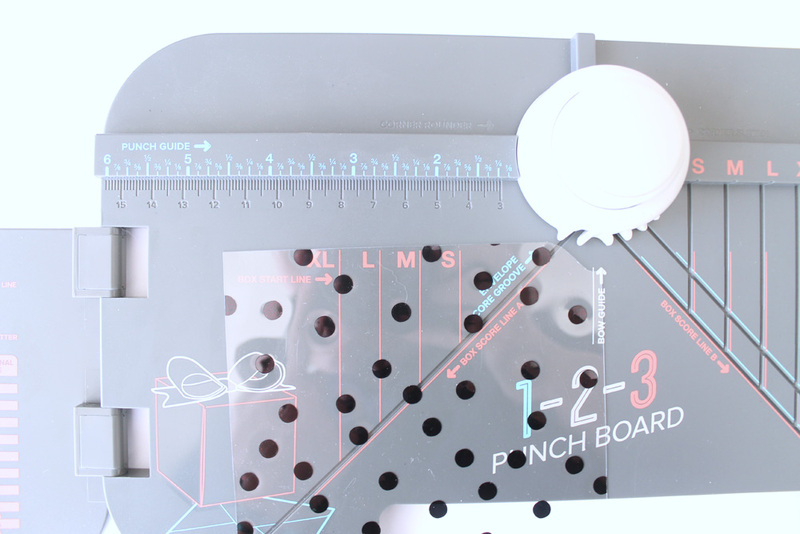 As with many of our punch boards, the 123 Punch Board includes a cutting and a punching feature. With this one tool you can create over 200 projects of different sizes and styles. The board comes with a detailed instruction booklet, and basic instructions with measurements are conveniently included on the board as well. 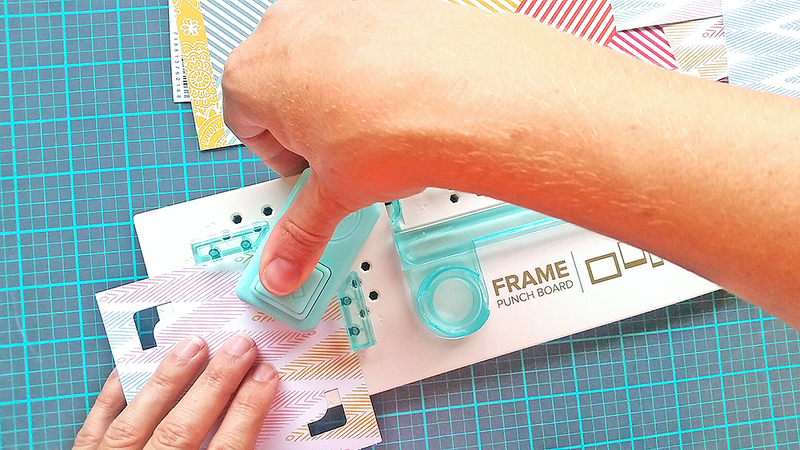 If you’d like the chance to win a 123 Punch Board, please leave a comment below telling us what you’d like to make with this fabulous tool. Comments will remain open until Thursday, March 23 at midnight. A random winner will announced here on the blog on Friday morning. Good luck, and be sure to check back to see if you won!